It’s back-to-school season for most this time of year. And on our morning drive to drop off the kids this past week (I have three kids of three different ages being dropped off at three different schools this year) we’ve been batting back and forth different ideas concerning the Sermon on the Mount. We’ve had some good discussions, as we’ve tried to take the Beatitudes out of the economical context they were originally spoken in and apply their principles to the context of elementary, middle, and high school. What we’ve found is that the principles are pretty universal. Everywhere you find an underdog, or those being marginalized, the Sermon on the Mount becomes exceptionally pertinent. 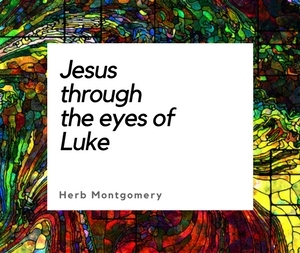 From listening to my kids, too, I’ve come to the conclusion that there may be no better testing ground for the ethics of Jesus’ Sermon on the Mount, no greater context to experiment with the truth value of these teachings, than high school. But that’s a side note. What I want you to see in this week’s focus text is the intrinsic “reaping what we sow” principle, especially in the context of mercy. The previous verse spoke about hungering for justice. The justice Jesus taught was not retributive, but restorative—not punitive, but redemptive. And the mercy we are to practice is not out of harmony with this kind of justice, and it does not need to be brought into harmony with this type of justice. Restorative justice and the mercy we are talking about this week are simply two sides of the same coin. They are both expressions of the same thing: love. Let’s take an example from Jesus’ cultural context first. Many people miss the economic context of Jesus’ words today. Let’s say we have a wealthy creditor in the first century and a debtor who has defaulted on a loan. The creditor has every legal right to foreclose. But Jesus asked creditors to stop and look at the circumstances of their debtors and to choose a more economically rehabilitative and restorative option than foreclosure. Let’s look at it from the perspective of the debtor now. Let’s consider those that are being oppressed by an economic system that they can never possibly recover from. (Think of the global debt crisis between superpowers and developing countries around the world today.) The temptation is violent revolution, something to reset the scales of capitalism. A “year of jubilee” by force, if you will. I’m reminded of Gandhi’s words: “I object to violence because when it appears to do good, the good is only temporary; the evil it does is permanent.” Jesus is calling us to change the world through mercy. What the Sermon on the Mount makes clear is that a new world (the Kingdom) is coming; and, in fact, it has already arrived. Jesus is Lord. And this new world is going to be a world where life is arranged very differently than the way it has been. This world, under the reign of love, is a “blessing” to those the present arrangement oppresses, and it will be a “blessing” to those who stand in solidarity with, and give a voice to, those who have been oppressed. Jesus is, in this week’s statement, giving us a way to this whole new world, this new creation—and that way is mercy. For those who are being oppressed: set in motion mercy. I’m reminded of Dr. Martin Luther King, Jr.’s words in my favorite sermon ever preached: “So, if you’re seeking to develop a just society, they say, the important thing is to get there, and the means are really unimportant; any means will do so long as they get you there—they may be violent, they may be untruthful means; they may even be unjust means to a just end. There have been those who have argued this throughout history. But we will never have peace in the world until men everywhere recognize that ends are not cut off from means, because the means represent the ideal in the making, and the end in process, and ultimately you can’t reach good ends through evil means, because the means represent the seed and the end represents the tree” (A Christmas Sermon for Peace). That may be the thing many revolutions miss. We are seeking to plant trees of justice without sowing the proper seeds: the seeds of mercy. For mercy awakens mercy, and mercy is the mother of justice. For those who are in a position of privilege, even unknowingly: practice mercy. Don’t justify injustice. Practice mercy and this new world, along with all the changes it will bring, will go much easier on you. Remember that the Sermon on the Mount is a blessing for some, but a curse for others (see Luke 6.24–25). This is the sermon that changes everything. My kids are looking for the underdogs presently in each of their schools. Looking for those whom they can stand with, be an ally for, and make space for their voices to be heard. This week, whether it be in matters of economics, gender, race, social status, orientations, and/or normativity, I want to encourage you to be on the lookout for those disadvantaged by the present arrangement. I wonder whom Jesus will draw your attention to this week, whom you will get the opportunity to practice mercy toward, rather than sacrifice. And if you are oppressed, I know this part is the most difficult to believe, but the way to a world rooted in restored justice is not to passively enable continuation of the present injustice, but rather to direct restorative mercy that awakens in the hearts of those advantaged, and to listen to the voices of those who are not. A new world is coming. It has already begun. Let’s go enlarge the Kingdom this week together. Whether you are in a position of privilege this week or a position of disadvantage, practice mercy. Experiment with it. Start out small and see what happens. As a person of privilege, it may open your eyes to a whole new world; I know it has for me. And I am very much still in that process. I can testify that the Sermon on the Mount has radically changed the way I see God, myself, and those—I’m ashamed to admit—that I used to condemn simply because they were different from me. Jesus’ Sermon on the Mount has changed everything for me. It has changed my life. I’m quite sure it has the power to do that for you, wherever it finds you, as well. 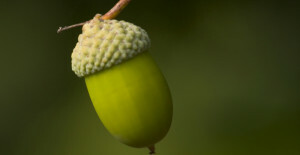 The oak tree is in the acorn. A just world is contained in the seeds of mercy, for the merciful will receive mercy. 1. This week, step outside of your normal routine and find an opportunity to practice mercy in a way that you wouldn’t normally. 2. Journal what happens as a result. If nothing happens, keep experimenting with it. If something beautiful does happen, write it down. 3. This upcoming week, share with your HeartGroup the stories of your experiments with Matthew 5.7 and the way of mercy. Wherever you are right now reading this, keep living in love, loving like Jesus in the way he taught us to love, until the only world that remains is a world where Christ’s love reigns. Next week, we’ll be looking at Matthew 5.11. And you won’t want to miss it.